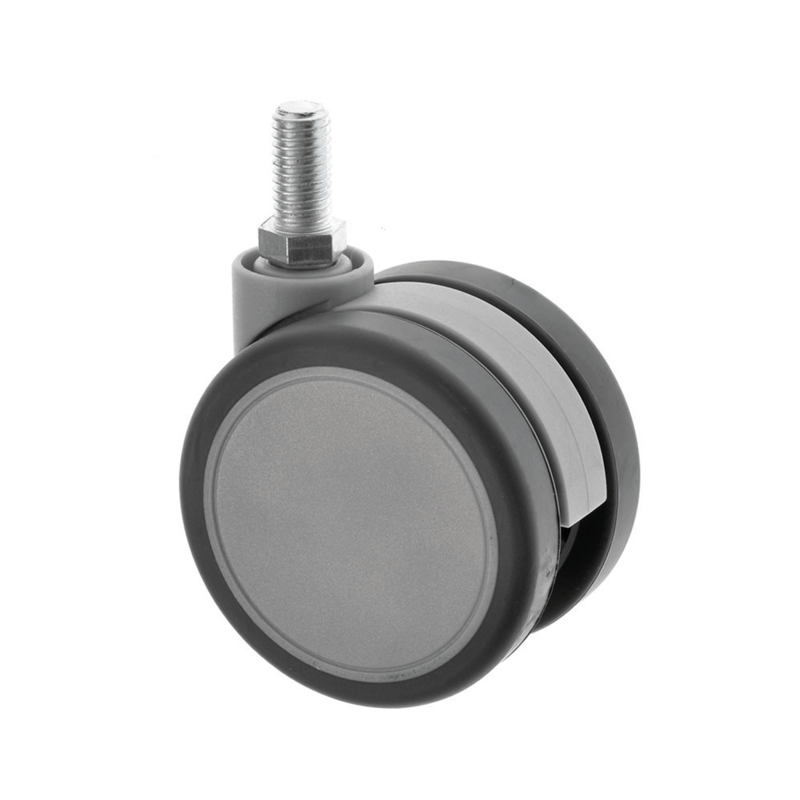 DS Series Twin Wheel Designer Castors with a Threaded Stem Fitting is a sleek and modern twin wheel castor. These contemporary castors are ideal for modern furniture and point of sale equipment. With grey rubber tyres and a choice of sizes and stem fitting sizes, these designer castors are a stylish and popular range. Available either with or without brakes.